I am a big fan of dry shampoo. I have fairly thin hair that is pretty flat. So not only do I use it for its intended purpose but I also love to use it as a texturizing spray to add a little extra hold and volume when I need it. Herbal Essences recently came out with their line of Naked products. I got this dry shampoo for about $5 dollars, so it's pretty inexpensive. The big deal about this product is it contains '0% paraben', which I read may be associated with several types of cancer, however this is not a supported claim at this point and the FDA considers them to be safe. For more about parabens keep an eye out for upcoming posts and beauty products with respect to chemicals and health. This product does contain some other ingredients though that may not be considered 'naked' or particular healthy for your hair/skin/health. Again, I'll be doing a series on chemicals in beauty products and their safety. This dry shampoo also has 0% colorant. Which, while there are no claims about health issues relating to colorant, is great because that means it wont leave a white cast and will work on a huge range of hair colors. This is great for me because I have both blonde (like really blonde) and brown hair. The 'active' ingredient, what actually absorbs the oil, is tapioca (I know, I thought that sounded gross too when I read it) but more on that in a minute. For the most part I typically use Suave's dry shampoo. It's inexpensive, reliable, and gives me the results I need. Due to that I've not been experimenting with dry shampoos. 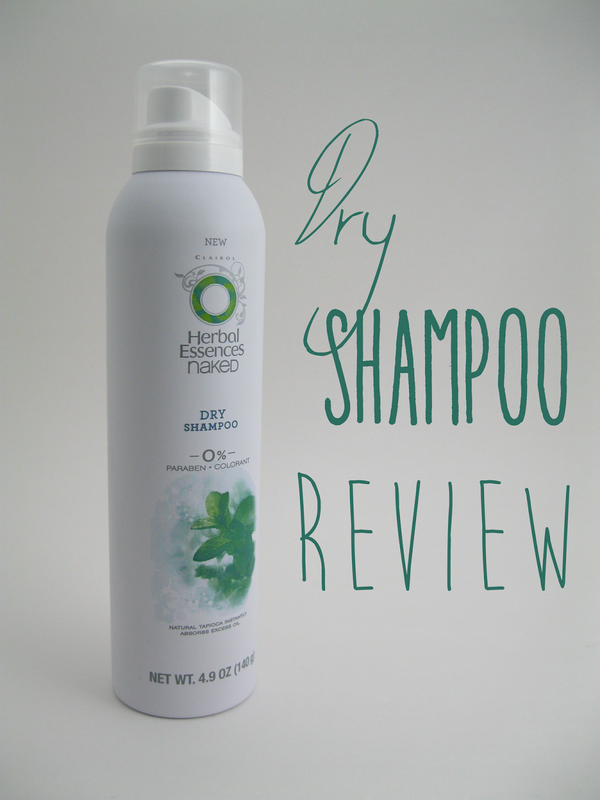 However, when I saw this Herbal Essences dry shampoo I was thoroughly attracted. It's got a lovely matte finish on the bottle that is wonderful to look at but even better to feel. The packaging is nice with clean lines and is generally attractive. The spray nozzle is nice and pretty usual. It's an easy to push button without much resistant, so it doesn't take hardly any hand strength (which is good because I have like none). It sprays a nice fine mist that is pretty wide but not all that powerful. Some dry shampoos have a quite powerful blast where when you spray it on your hair it blows it back a bit and really helps the shampoo to get deep into the root of your hair. This one doesn't really do that... It's a quite light mist so I do feel like I have to work a little more to get it into my hair. That is a bit different for me but I don't feel like that is much to complain about. It actually wasn't exactly what I had expected, not in a bad way it's just a little different. 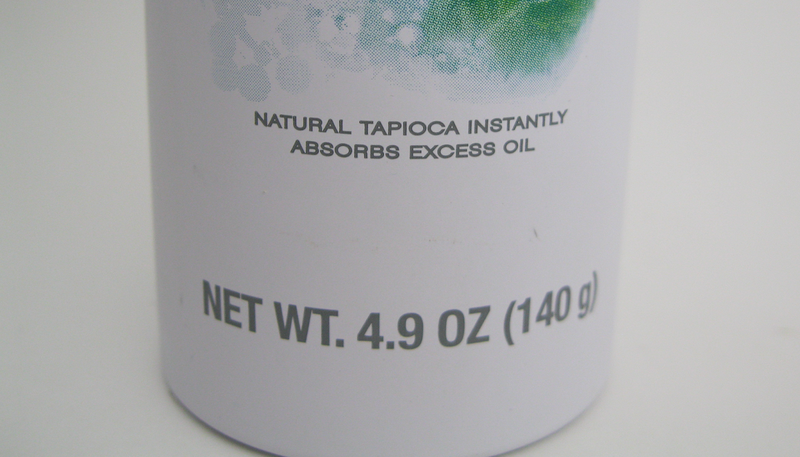 On the bottle it says 'Natural Tapioca Absorbs Oil Instantly' so I did expect instant gratification when I started applying it. So I was a little confused when I didn't feel like it was working instantly, but momentarily it did absorb oil. Another interesting thing that I didn't really expect was the way my hair felt right after applying it. It felt sort of wet and very cold and I must admit that freaked me out a little but within about 10 or 15 seconds (once I worked on other sections of my hair) that feeling went away. I like the feeling that it leaves my hair with once it's 'dry'(?). It's leaves a sort of fine grit feeling (I realize how horrible that sounds, but it's the honest truth) with a really nice texture. What I mean by 'fine grit' is, you know how freshly cleaned hair (at least mine) has zero texture and hold? Well depending on what I am doing with my hair sometimes I need my hair to have tons of hold and other times I need it to have just the right amount. This dry shampoo supplies just the right amount of texture for my everyday hairstyles. Oh as a side note I really don't like hairspray, it's just one of those things that I really don't like using, so if can get my hair to hold without it I am a pretty stoked person. This dry shampoo does have a bit of a scent to it, besides the normal sort of dry shampoo smell. It smells of sweet mint with a hint of citrus. The scent is pretty light and non-offensive in my opinion. Also I haven't noticed it really leaving any scent in my hair after I apply it. Overall this is a quite nice dry shampoo. It absolutely provides oil absorption that is very satisfactory, however not quite as instant as other products but still within about 10 seconds (that probably has to do with the fact that it does use natural tapioca). This dry shampoo may not be as strong as others because it is natural based but I haven't yet had it not work for me. I have used, what feels like, most of the bottle and have been very pleased. It also adds a nice texture to hair that helps with hold but doesn't make it feel grossly dirty like some dry shampoos will. This is Herbal Essences Naked collection and 'naked' to me says natural... not true. So as far as natural products go I don't know if I would suggest this for someone who is on an all natural beauty regime because, to be quite honest, I wouldn't suggest anything less than something that sports the claim 'all natural' on supports it. But if you are just looking for a new dry shampoo this one works really well and provides good cleaning power, a lovely texture, and is inexpensive. Do recommend in general. Update: I've now 'finished' the bottle. As in, nothing more will come out of the it... but it feels like there is a bunch of product still left in the can. So I think that I ran it out of propellant, probably by not shaking it sufficiently. I guess I could have shaken it more as I was using it but there is an awful lot left I feel like. I did buy another one of the dry shampoos in the Naked line of Herbal Essences when I saw it in uplifting citrus scent. I'll just have to see what happens with this one. Thanks so much for reading and I hope it was helpful! If you use this product let me know what you think of it. What about the citrus?